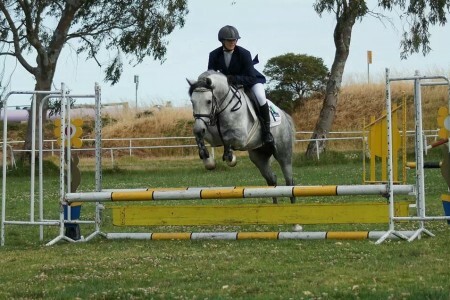 I have been fortunate to be a regular member of the SA State Showjumping Squad since the 1980’s. Over the years, I have had personal training from some the best International and Olympic Showjumping and Dressage coaches from Australia and overseas. In 1997, I was fortunate to have trained and competed in Germany under the guidance of Heiner Ingemann who has represented Germany in International and Nations Cup Showjumping competitions (and now one of Germany’s National Coaches). However, the biggest influence has come from long time trainer and friend, Rob Goldsworthy of Adelaide, and Rod Brown of Sydney (former Australian Showjumping Coach and Olympian). 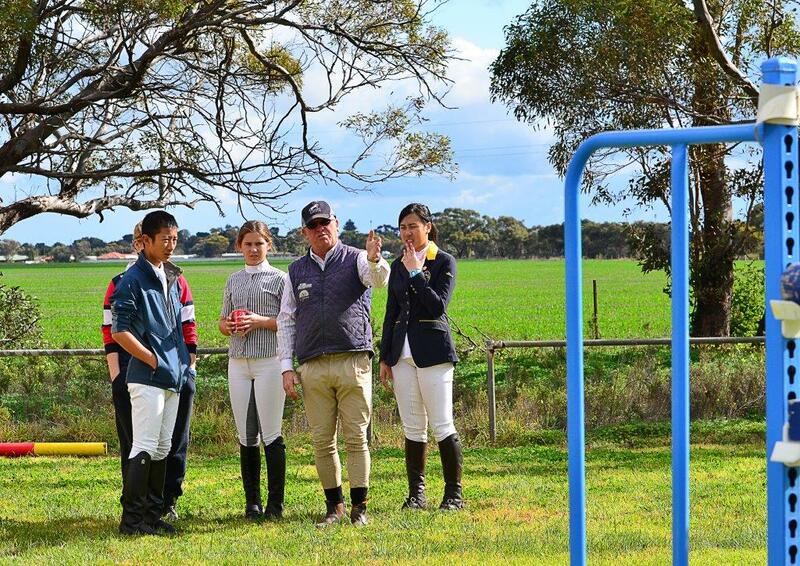 In the past, Equestrian Australia (EA) has contracted me as Showjumping coach for the SA Junior Development Program, and I have also been engaged by the EA for the SA Young Rider Scholarship program both as a coach and selector in the field of Showjumping. This program has been a huge success in improving not only riding skills but also presentation, turn-out, horsemanship and sportsmanship. These young riders who participated in this program are now at the top of their sport, with most of them having representing their State. 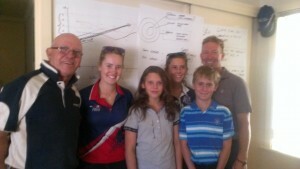 A few have gone on to represent Australia, and may possibly be our future Olympians. Over the years, I have made many coaching trips overseas to Hong Kong and Singapore. As well as coaching the elite riders, I have been involved in coaching novice and beginner riders, both juniors and adults. I was also employed to coach the “coaches” and give demonstrations and lectures. I take a genuine interest in the progress and success of the riders (and coaches) and on each occasion have been able to monitor their development. These clinics have been organised by various international establishments such as the Hong Kong Jockey Club, the Equestrian Federation of Singapore, the Singapore Polo Club and the Bukit Timah Saddle Club as well as private riding establishments. 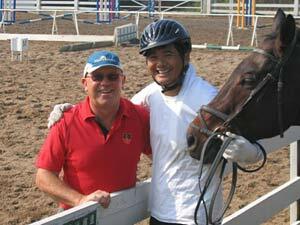 My International experience includes the appointment as National Showjumping Coach for Singapore in 2007/2008. I have travelled to Wellington,Florida; Lastup, Germany and Spruce Meadows in Canada assisting and supporting Mark Lindh (SA Rider) in his endeavours to compete in Showjumping at the highest level. During this time I was able to work alongside Gilbert Bockmann (Germany) and Jonathan Asselin (Canada). 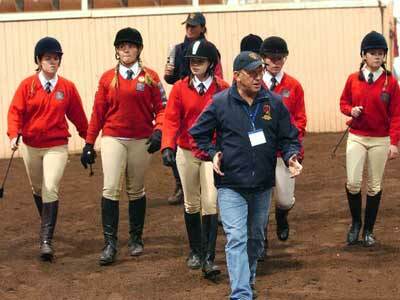 In 2013 I was appointed as one of the National Jumping Selectors for Australia. I will hold this position through to the 2016 Rio Olympic Games. 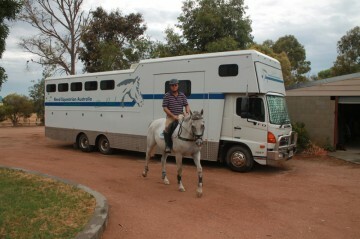 At home, at the Northern Equestrian Centre, I am busy with coaching in all areas of equestrian sport. I have coached riders of all levels in the field of Showjumping, Dressage and Eventing. 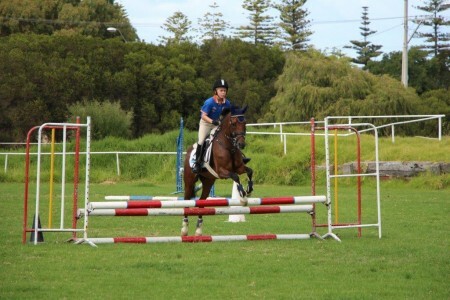 As a personal coach, I have been involved in different stages of the training and development of several of our State’s top young Showjumping riders – some who have won individual State titles. I have been the SA Pony Club State Showjumping Coach accompanying the State Showjumping Team to three Australian National Championships held in Perth WA, Toowoomba Qld and in Sydney NSW. 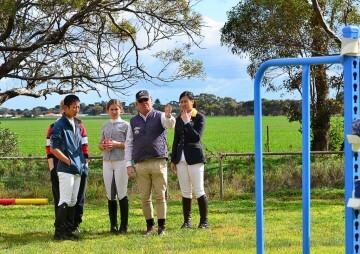 I was also the State Showjumping Coach for the SA Interschool Team that competed at the Australian National Championships in Werribee, Victoria in 2014. Recently, I was awarded SA Coach of the Year and nominated as a finalist for the Equestrian Australia National Coach of the Year 2014 (to be announced in Melbourne 5 June 2015). I enjoy training and working with young riders, particularly in the area of showjumping and get great pleasure in seeing them realise their goals. Whether they are at a novice level or at the top of their sport, I am thrilled with their achievements. I am experienced in preparing individual and specialist training programs to get successful results. I believe I have very good communication skills, and can establish a good rapport with children and adults alike. 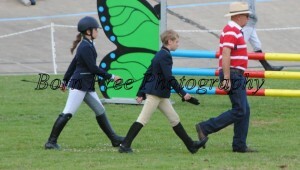 Most importantly, I enjoy teaching riders of all levels from Pony Club through to Grand Prix. I invite you to contact us for further information and references.